The Higher Resolution for Particle Sizing and Counting. Discover the most versatile and accurate particle sizing and counting analyzer on the market. Using the Coulter Principle, also known as Electrical Sensing Zone (ESZ). 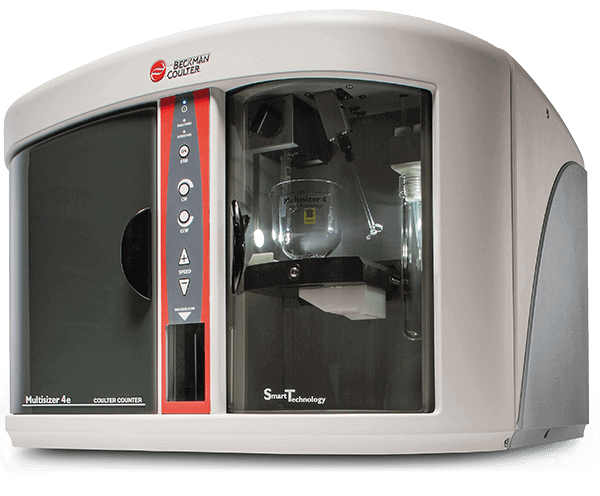 The Multisizer 4e uses the Coulter Principle for determining cell volume, particle number, mass and surface area size distributions from one measurement.